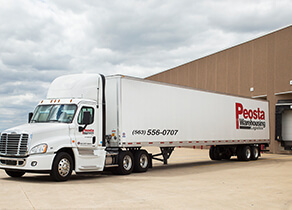 Peosta Warehousing prides itself on flawless and professional food grade warehousing services with quick access to major transportation hubs like Kansas City, MO, Chicago, IL, Minneapolis, MN, and Milwaukee, WI. Our safe warehousing is Organic Certified and we have received the highest AIB International rating of Superior. Our third-party fulfillment services receive, store, package, and ship your precious cargo in a cost-effective manner with skill, speed, and accuracy. When your items arrive at one of our centers, our professionals will unload the containers and prep your items for cross docking. Cross docking allows you to ship via full truck loads, reducing costs and ensuring quick delivery. Our staff will pick and pack your items, preparing them for shipment by repacking. Knowledgeable staff at our warehouse locations will assembleindividual items into ready-to-ship kits. The effort to get products from the warehouse to consumers is a fluid one requiring careful inventory management, order fulfillment, labeling, packaging, and shipping. Using state-of-the-art technologies and an experienced Peosta Warehousing staff means your distribution occurs flawlessly with limited effort on your end. If finding suitable warehouse and distribution space has become a challenge, we can help. We will develop a building that suits your specialized warehousing and logistics needs. Peosta Warehousing Logistics spread over more than 1,600,000 square feet area in Peosta, IA offers huge capacity for warehousing service. 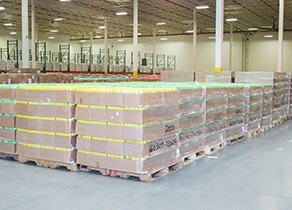 Our center provides temperature-controlled, food grade warehousing facility. We offer logistic services, including packaging and transportation. Trust us to develop a building to suit your specific warehousing requirements. We provide warehouse storage solutions for shipping and manufacturing businesses. From container unloading to cross docking, we do it all. Call now to hire our services. Our team is ready to help meet the warehousing and logistics needs you require to run your business successfully. Contact us to learn about our services including food grade warehousing, fulfillment, cross docking, kitting and assembly services, local and international logistics, and distribution.